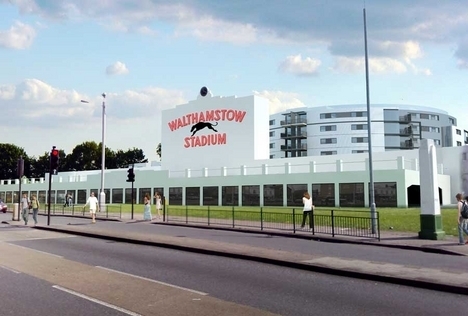 The hope that greyhound racing would return to Walthamstow stadium looks increasingly unlikely following the rejection of a bid to re-open the track. After the stadium was closed in 2008, to be re-invented as new flats (pictured above), businessman and greyhound fan Bob Morton planned to raise enough money to build new property on the site whilst retaining the dog track. But his £9 million offer has been rejected by the London & Quadrant housing association, which owns the site, as being insufficient to meet current market value. L&Q spanked £18 million on the stadium when the property market was at a particularly giddy height, and are unwilling to lose money on their investment.